Windows and glass are such an indispensable part of life, it’s hard to imagine a time without them. But there was, of course. Early houses had to double as tiny fortresses to protect their owners from attack by robbers. Later these became castles, but that’s a bit off-topic. Except, that is, for the fact the narrow slits high up the walls were for shooting arrows through, nor for admiring neighbors. Let's explore the use of windows through the ages. Thousands of years ago large empires controlled the world and brought with them an era of relative peace. 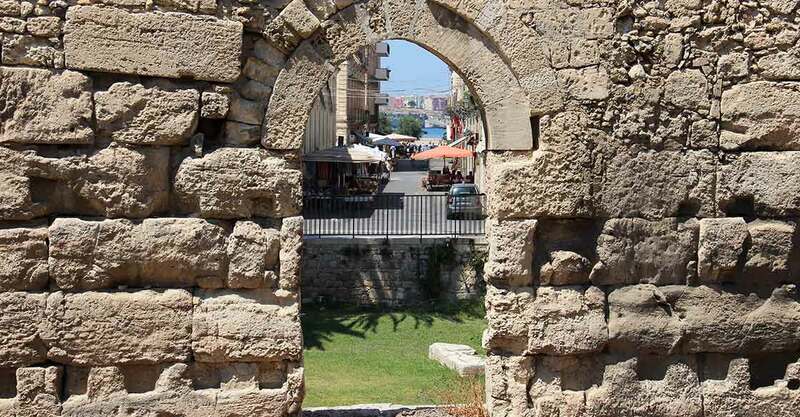 The ancient Romans and Egyptians felt safe enough to leave openings in their walls, to admit light and cooling breezes in summer. In winter, or at night, they closed them with pieces of cloth. Life was simpler with Nature’s HVAC although this did not bring all the creature comforts. However, were they really windows? Apparently, they were not. 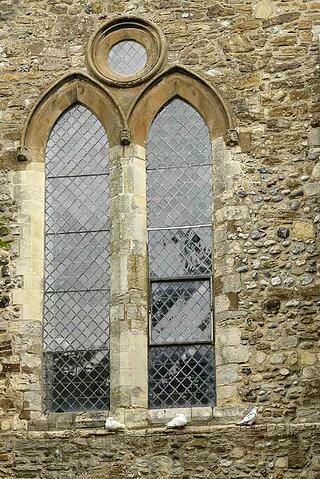 The Ancient Romans had a bash at glazing windows with glassy pebbles supported in wooden frames. These did let in some light, but that was as good as it got. 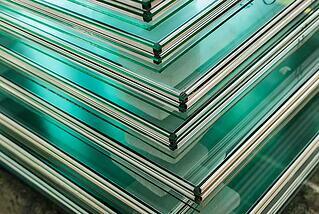 It was only in the 3rd Century that someone invented glass sheets. They blew bubbles of glass they sliced in half, and flattened by blowing hot air over them. The earliest ‘windows’ were actually holes in roofs to let out cooking smoke and let in light. The word ‘vindöga’ still means a hole through the roof in Norwegian, and this is where our word ‘window’ comes from. The first references to windows in English appear in the 13th Century. The word existed in parallel to the German ‘fenester’ right through to the 18th Century. Nowadays, we use fenestration to describe the arrangement of doors and windows in buildings. Since glass was exclusive and expensive, early glazed windows were really only for the wealthy. Middle class people in double-story houses in town kept them open so they could use them as garbage disposal devices and for you-know-what. The two most notable window types in Europe at that time were stained glass in cathedrals, and mullioned windows in grand country homes and palaces. However, they had not yet invented lintels and large sheets of plate glass. So the mullions or frames of stone or wood were close together to ensure structural stability. In those days, one could gauge a person’s wealth by the number of windows in their house. Hence, they were status symbols in addition to controlling temperature inside, and admitting light. Around 250 years ago, the City of Edinburgh, Scotland introduced a window tax because they were easier to count than income. Poor old Duke of Roxburgh had to cough up fourteen pounds and four shillings for his 294. Some Edinburgh residents were so incensed they bricked up a few windows to save tax. As Europe entered a safer, more prosperous era in the 16th Century, homeowners wanted to be able to admire the view outside their house. However, windows only really acquired use for enjoyment’s sake when glaziers learned to make leaded windows by holding small glass panes within a lead lattice. This practice largely fell away after the introduction of sheet glass. We only really encounter them in historic buildings or in villages where people think they look posh. In the 17th Century, they started making window frames out narrow of strips of timber, further emphasizing the use of windows as lifestyle improvers. By the beginning of the 18th Century, vertical sliding sash windows were all the rage since they could be slightly or fully open. In time, plate glass replaced the inner window frames as volumes lead to lower prices. In 1887, a factory in Yorkshire, England started mass-producing plate glass for the first time. In 1889, Pilkington Brothers hit on the idea of incorporating a steel wire mesh in sheets of glass. Glass windows suddenly had a brand new purpose. They provided added security for shopkeepers who could leave their wares on display for the night. Those citizens of Edinburgh used interior shutters to prevent most winter cold from entering their homes. This primitive form of ‘double glazing’ found full expression in Scotland in Victorian times. During the 1930’s, the American inventor CD Haven introduced his ‘thermohaven’ double-glazing. This was the first time that windows were used to maintain warmer or cooler temperatures in homes. This insulating facility created a huge upsurge in the number of windows per house. But there was a downside too, because the design called for smaller pieces of glass, and more inner frames. As a result, people began to lose their views to outside. Eventually in cold climates, they hardly opened their windows at all. This was a sad day for windows with so many wonderful uses. They came into our forebears’ lives to bring the outside inside. Now they were literally shutting the outside out of people’s lives. They gradually became more inward looking. They would rather watch television, or their kids play computer games, than appreciate the stunning views around them and dine on the patio on warm evenings. The New Frontier - Thermally Insulated. Folding. Frameless. 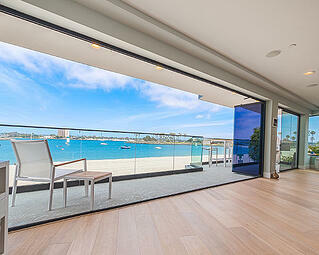 Imagine for a moment you could turn your walls with window views into wall-to-wall thermally insulated vistas. Thermally insulated glass with properties as good or better than triple glazing, but without the annoying window frames, and intervening walls that obstructed our view. Well you could do this real soon with Cover Glass USA frameless folding door systems. The individual, totally frameless panels stack at ninety-degree angles, and you can fold them to the left or the right. Instantly your home transforms. Your views are obstruction-free, and your house reconnects with the outside all the time. On warm summer nights, your living room and patio connect seamlessly. On winter evenings, you can sit snugly around the hearth, while the cityscape lights and stars twinkle brightly through the glass.